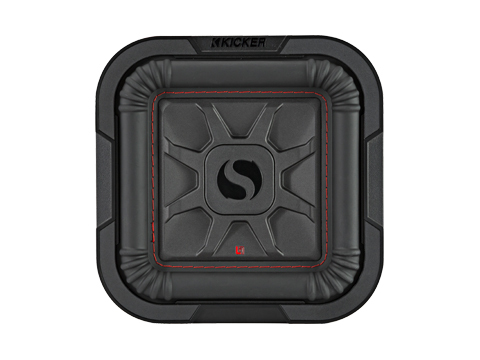 Legendary KICKER Solo-Baric square subs – in the slimmest space ever! 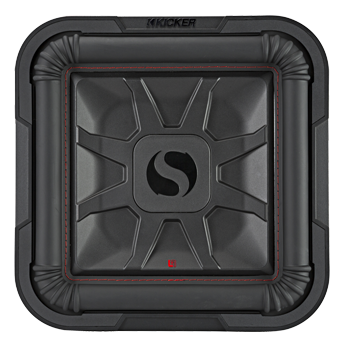 The square cousin to the CompRT subwoofer, the L7T fits under your seat or in a corner of your trunk with ease. 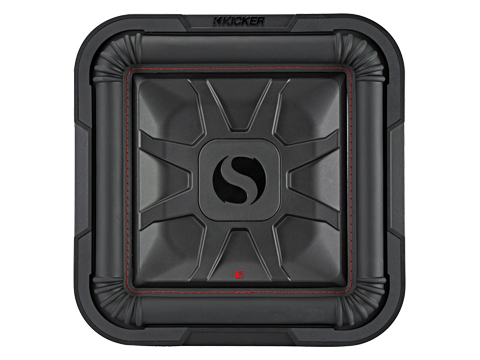 It’s simple – more cone area means more air moves – for more bass! 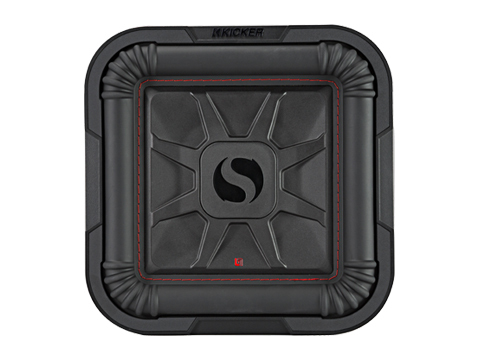 KICKER’s L7T Square Sub technology gives you up to 20% more cone area than a conventional round sub. 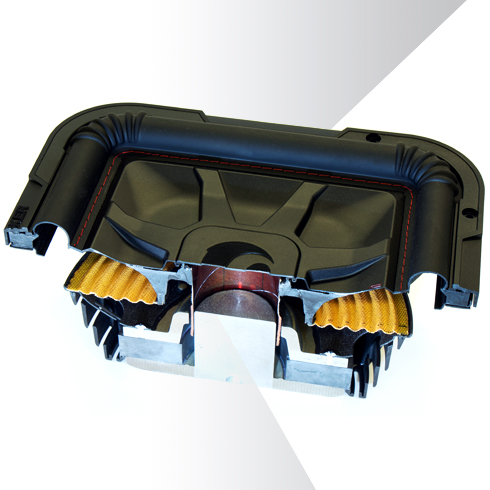 Innovation is the secret sauce! 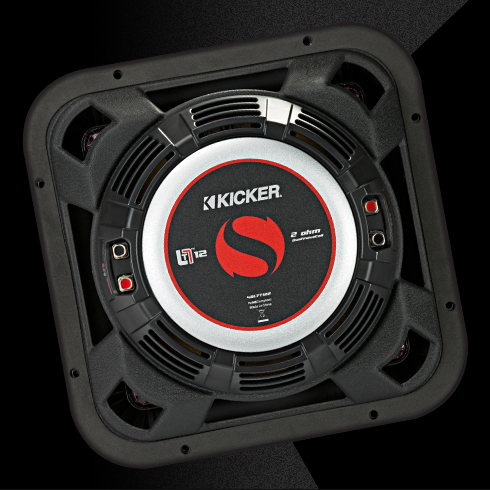 KICKER acoustic engineers worked feverishly, determined to put the largest voice coil and magnet we’ve ever integrated into a thin sub. 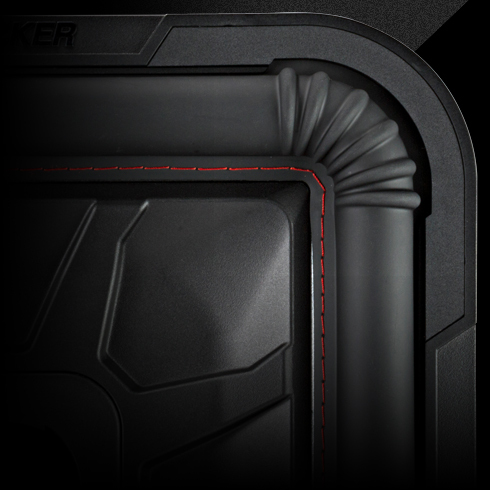 A next-level top-plate design, unique heat management system and our signature cone stitching all help to give you deep bass and outstanding reliability in a single, mind-blowing design that gives you max output! 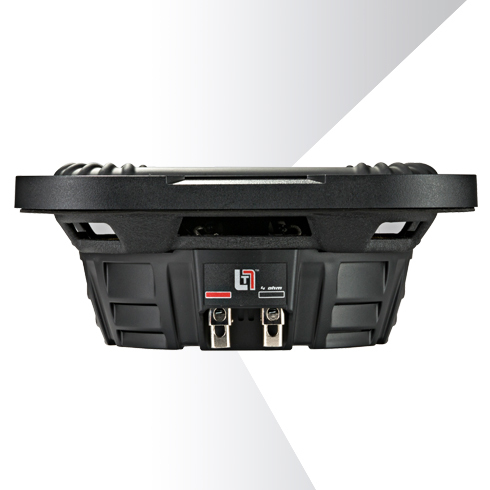 Loaded with nickel-plated terminals, the L7T features standard dual-voice-coil design, so you always get the most out of your amp.